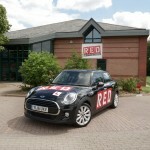 RED Driving School has today announced a new partnership with BMW Group UK, in a move which will see a majority of the driving school’s fleet of cars switched to the MINI Cooper D 5-door Hatch. The driving school, which has in excess of 1200 instructors throughout the nation and a significant number of pupils learning with them each year, will be adding around 350 brand new MINIs on to its fleet before Christmas. RED Driving School students will now be learning and passing their tests in the MINI Cooper D 5-door Hatch which has C02 emissions of just 95 g/km and very low fuel consumption. The RED Driving School MINI Coopers will initially come in the two striking colours of Midnight Black and White Silver with cars in Blazing Red to be introduced later. All the cars will have RED’s newly designed branded livery covering the cars’ exterior. The school’s new MINI fleet will all come with the comprehensive Chili Pack which includes LED headlights and fog lights, rain sensor and automatic headlight activation and sports seats for the driver and front passenger. Crucially for driving instructors, the Chili pack includes dual-zone air conditioning and three different driving modes including the fuel efficient Green mode. The move comes as RED looks to cement its position as the UK’s premium driving school. MINI has seen significant success in the corporate market this year, with sales up 14 per cent year on year. The addition of the MINI 5-door Hatch has played a huge part in this and has been a runaway success since launch. The MINI 5-door Hatch has two extra rear doors, improved legroom and a practical third rear seat and larger boot. Custom Fleet Services Ltd initiated the deal in conjunction with Knights Corporate Sales in North Staffordshire.